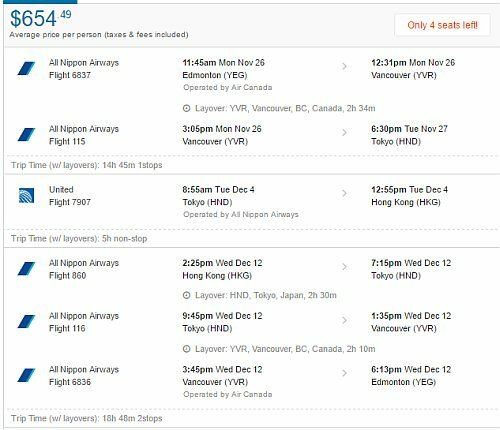 All Nippon Airways and United Airlines are showing 2-in-1 flights that allow you to spend time in both Tokyo, Japan and Hong Kong for $699 CAD roundtrip including taxes. 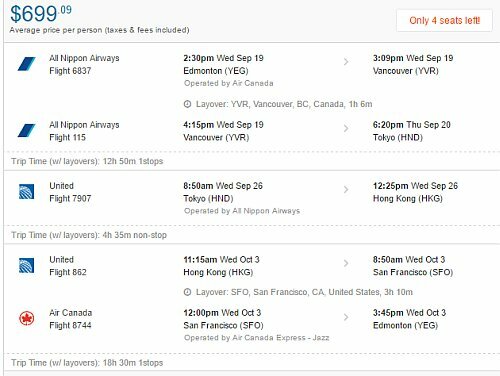 The flights are with ANA on the way there, and United Airlines on the way home. 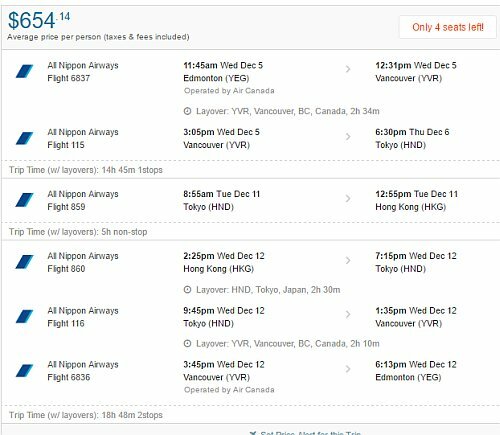 One Response to "2-in-1 trip: Edmonton to Tokyo, Japan *and* Hong Kong - $654 to $699 CAD roundtrip including taxes"